allow us to make it happen! and a night out on the town. 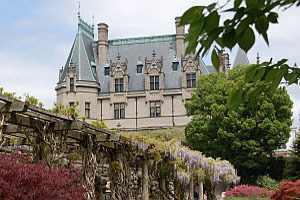 Our two-day Biltmore tickets are just $65 each. A great value! If you’re visiting us before March 2018, Biltmore Winter tickets are just $55 each. Saturdays are pretty special at the 1900 Inn on Montford! 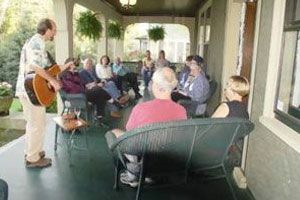 We offer heritage music every Saturday from 6-7pm along with local wines and sparkling water. Ben Scales has been organizing our Saturday music for 15 years. Don Lewis and Woody Wood are pictured in this music clip. Just give us a call and we’ll do our best! Rover, while you visit the 1900 Inn on Montford.